5 Easy Ways to be a Kid Again! When’s the last time you laughed until your face hurt? As “grown-ups”, we tend to forget the little things that always made us happy. We take things too seriously. We stop laughing. I make it a point to hold on to my childlike zeal for life. For me, it’s the only way I stay sane. If you are like me, I offer you 5 simple activities, that will have you feeling like your old (young) self in no time! A childhood favorite, that is surprisingly even better in adulthood. In our boredom, Chris and I once built a fort with all the pillows, blankets, sheets and furniture we could find. It was pretty freakin’ sweet. And the best part: we’re grown-ups now, so our options were endless. We decided to bake cookies, drink a bottle (or two) of wine, and watch crappy TV until we passed out. All in our fort. Tell me that’s not awesome. The possibilities used to be limitless. And could be again — if you let them. Give it a try! Go outside. Color a picture. Put together a gigantic puzzle. Whatever gets your imaginative juices flowing. Probably not the most responsible thing to do, but as adults, responsibility rules our lives. For one moment, behave irresponsibly, in order to make yourself smile. The deviation will be worthwhile, I promise. As kids, we were trying new things almost every day. Mainly because the entire world was new to us, but also because our willingness to try was at an all-time high. So let’s get back to that mindset. What’s that thing collecting dust on your bucket list because you lack the time/motivation/guts to actually do it? Make that thing a priority, and get it done! Sounds simple, right? But with all the responsibilities, the deadlines, the BILLS, the soccer games, etc… It can be really tough to let loose. But I challenge you to try. Dance in the middle of your kitchen. Make funny faces at yourself in the mirror. Be silly. You’ve earned it. They say that when life gives you lemons, you should make lemonade. 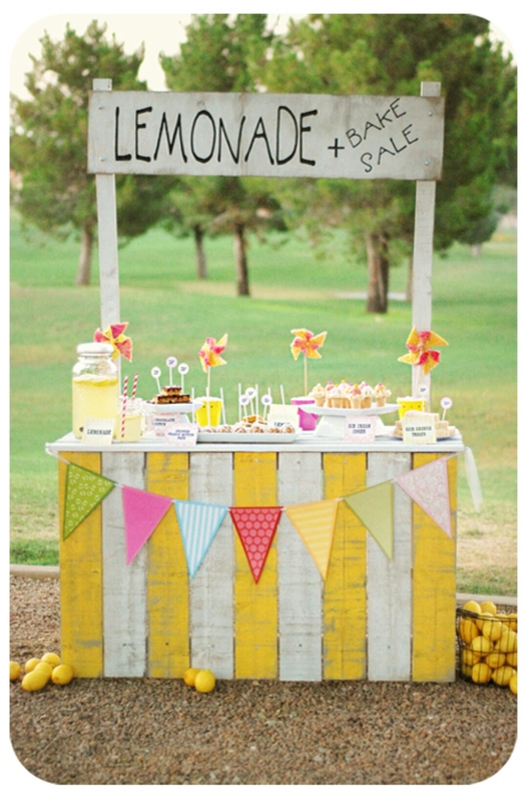 Well I say take those lemons, pull out posterboard and markers to make a lemonade stand, and have the kind of fun we used to have before adulting knocked the wind out of our sails! I never would have thought about building a fort as an adult. Thanks for the suggestions!